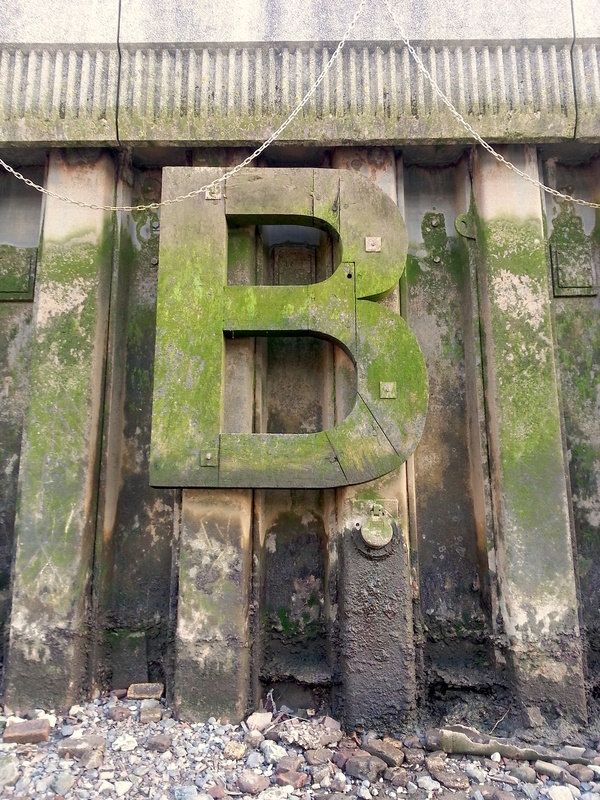 Large wooden B on the south side of the River Thames in London, near the Millenium Bridge. 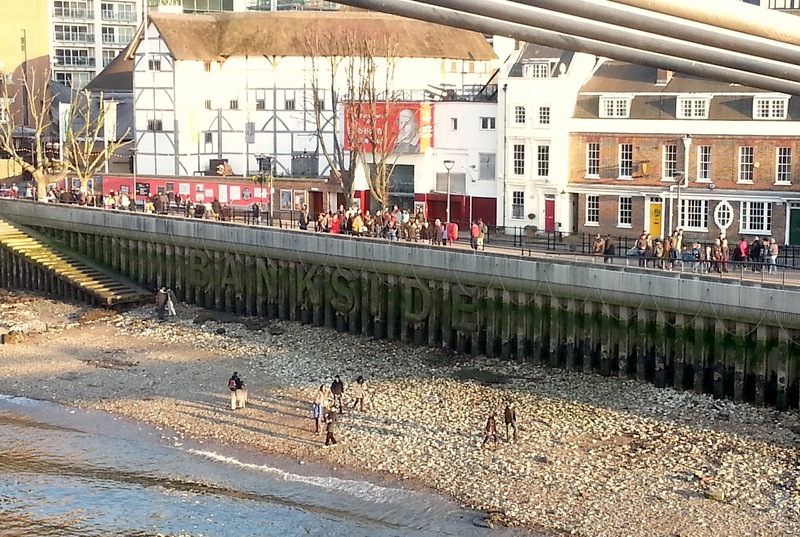 I guessing that it is only visible during low tide. Below is a picture of the whole sign (sorry about the photo quality).